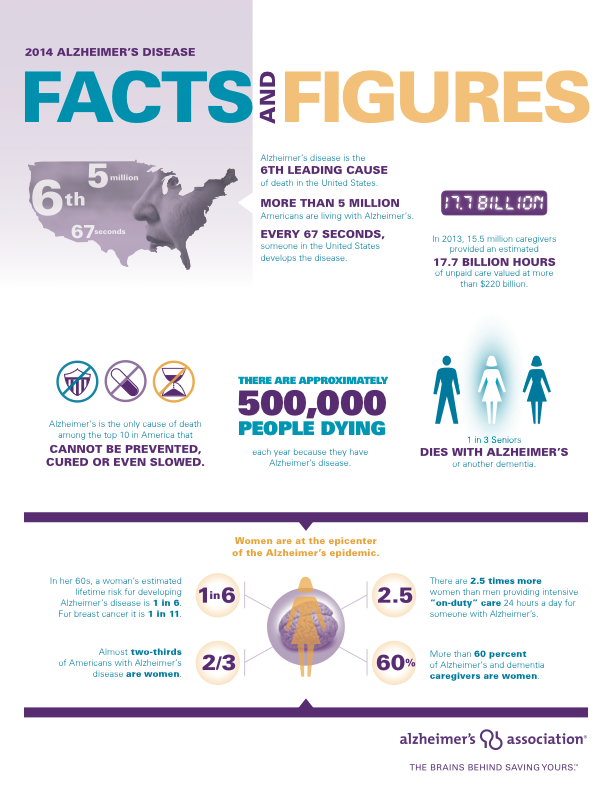 The Alzheimer's Association has published an updated version of their facts and figures about Alzheimer's Disease for 2014. Did you know that Alzheimer's Disease is only cause of death among the top 10 in America that can not be prevented, cured, or even slowed? Right now, there are approximately 500,000 people dying each year because they have Alzheimer's. A women in her 60's has a 1/6 chance of developing Alzheimer's; the risk for breast cancer is 1/11. Sadly, one out of three seniors dies with Alzheimer's or another dementia!